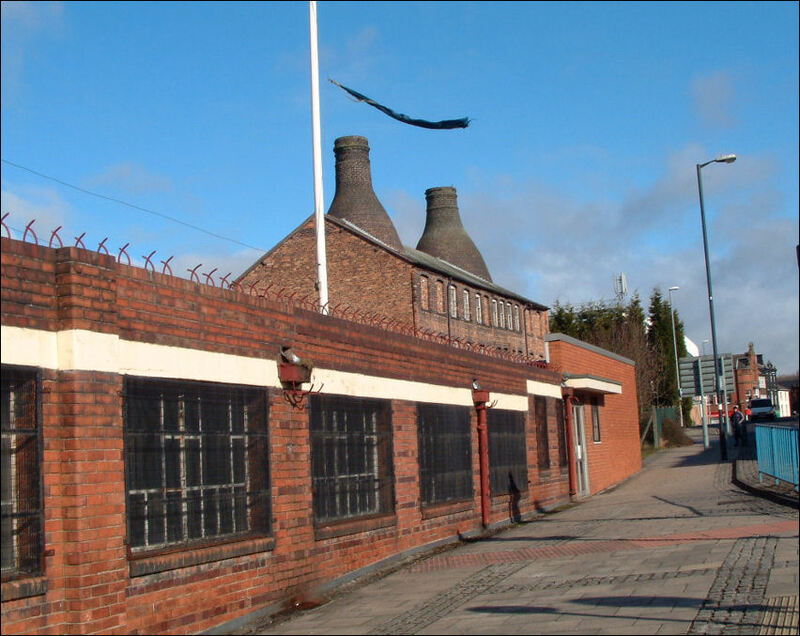 went into business on his own account at the age of 22 in 1873 as a manufacturer of earthenware. 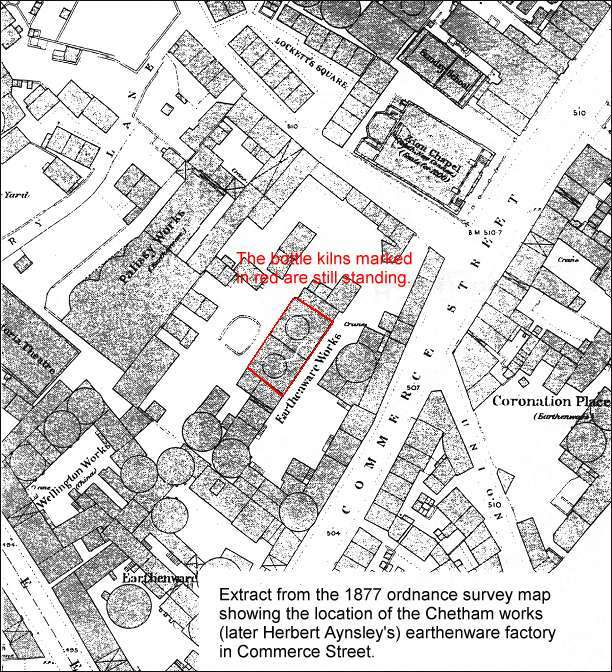 The factory (previously belonging to the Chetham family) was located in Commerce Street, Longton. As witness our hands this 21st day of January 1841. Executors of the late John Robinson. NOTICE is hereby given, that the Partnership heretofore subsisting between us the undersigned, John Chetham, Robert Chetham, and Frederick Chetham, carrying on business at Longton, in the county of Stafford, as Earthenware Manufacturers and Co-partners, has been dissolved by mutual consent, as and from the 31st day of December last. Dated this 24th day of January, 1870. 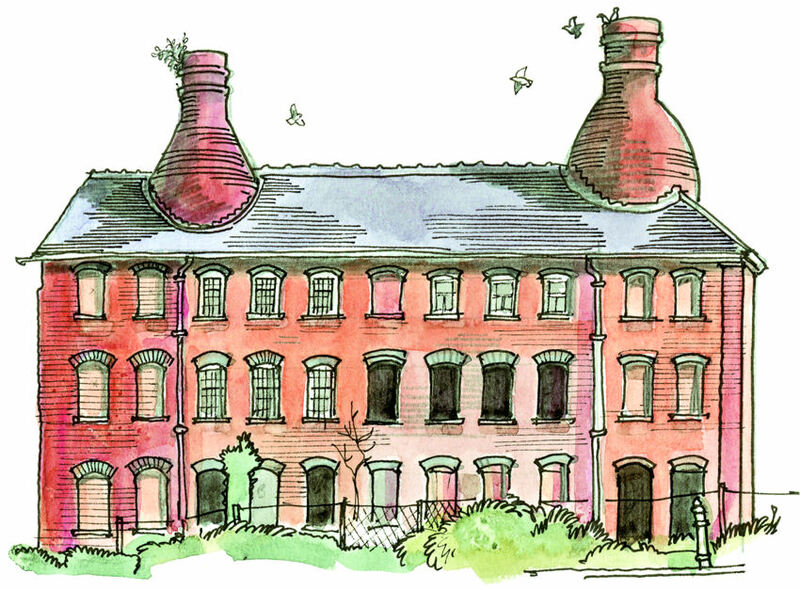 Frederick Chetham, of Longton, in the county of Stafford, Manufacturer of Earthenware. Given under the Seal of the Court this 13th day of October, 1871. In the County Court of Staffordshire, holden at Stoke-upon-Trent and Longton. Dated this 10th day of June, 1872. A DIVIDEND of 2s. 6d. 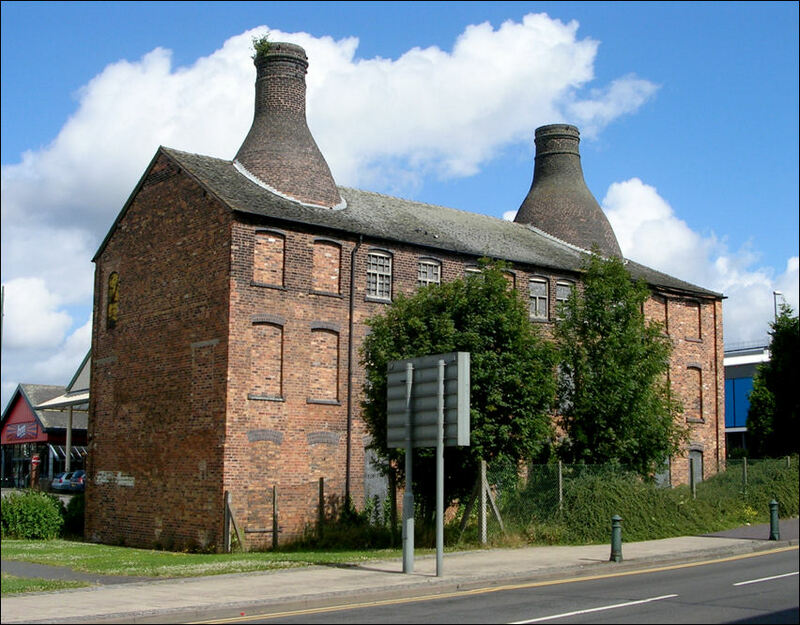 in the pound has been declared in the matter of Frederick Chetham, of Longton, in the county of Stafford, Manufacturer of Earthenware, adjudicated bankrupt on the 13th day of October, 1871, and will be paid at the offices of Mr. Enoch Palmer, 11, Commerce-street, Longton, on the 31st day of July instant, between the hours of ten and four. Dated this 23rd day of July, 1873. NOTICE is hereby given, that the Partnership hereto fore subsisting between us the undersigned, John Aynsley, Joseph Chew, and William Oswald Deakin, carrying on business as Manufacturers of Earthenware, at Commerce-street, in Longton, in the county of Stafford, under the style or firm of Herbert Aynsley and Co., is dissolved, by mutual consent, as far as the said William Oswald Deakin is concerned. All moneys due to and from the said firm will be received and paid by the said John Aynsley and Joseph Chew, who will continue to carry on the said business under the firm of Herbert Aynsley and Co. Dated this 1st day of January, 1886. John Aynsley Joseph Chew the. 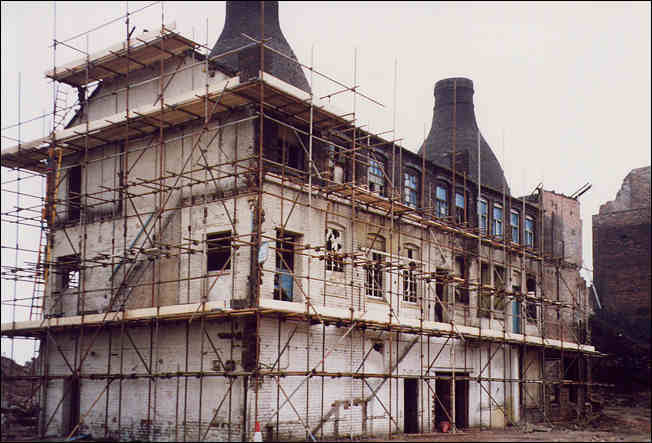 elder Frederick John Ridgway Joseph Aynsley and John Chew carrying on business as Earthenware Manufacturers, at Commerce Works Longton in the county of Stafford under the style or firm of H. Aynsley 'and Co. has this day been dissolved by mutual consent so far as regards the said John Aynsley who retires therefrom. All debts due to and owing by the said late firm will be received and paid by the said Joseph Chew the elder Frederick John Ridgway Joseph Aynsley and John Chew who will continue the said business under the style or firm of H. Aynsley and Co. Dated this 14th day of January 1896. NOTICE is hereby given, that the Partnership heretofore subsisting between Joseph Chew the elder, Frederick John Ridgway, Joseph Aynsley, and John Chew, carrying-on business as Earthenware Manufacturers; at Commerce Works, Longton, in the county of Stafford; under the style or firm of "H. Aynsley and Co.," was dissolved by mutual consent on the 8th day of October, 1900. All debts due to or owing by the late firm will 'be received' and paid, by the said Joseph Chew the elder, Frederick John Ridgway, and Joseph Aynsley, by whom the business will be carried on under the present style or firm of "H. Aynsley and Co."
Dated this 12th day of October, 1900.